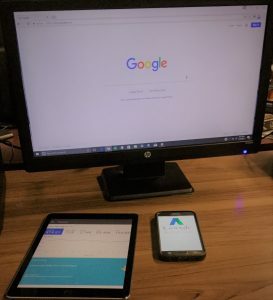 Google AdWords offers an abundance of features that can help Dallas – Fort Worth companies grow their business online. For example, the clickable call button encourages mobile users to connect with your service directly from their device. The convenience this provides to consumers exponentially increases the likelihood of them becoming paying customers. Dallas / Fort Worth SEO can help you manage your AdWords PPC campaign, and take your company to the next level in 2018. Call 800.231.4871 for Google AdWords campaign management. Your bid is still a factor, but it is judged in the context of other variables. With multiple factors taken into consideration, the playing field is evened for small businesses. If the only factor was money, the richest companies would win all the ad space, creating an unfair advantage, and ultimately a disservice to search engine users who deserve a more complete offering of options on the marketplace. DFW SEO can help get your AdWords campaign started today. Paid ads can get users to your website, but it will all be for nothing if they aren’t converted into a customer. To convert website visitors into customers, your web design must be on par with your ad, and contain an urgent call-to-action which can help you get in direct contact with leads. In many cases this is the clickable phone number button, which really encourages mobile users to call you on their device. Another option is an email subscription button, which will provides a recurring line of communication. With so many internet users on mobile devices, web design should incorporate a mobile-first concept to accommodate them. DFW SEO designs each of our clients’ websites with responsive web design which adjusts your website to the device on which it is accessed. Also, thinking about your website as a landing page, you should put important information at the top, so that users see it immediately upon entrance. If you require assistance with your Google AdWords campaign, give us a call today at 800.231.4871. Updated on March 28, 2018 at 9:51 pm by Dallas / Fort Worth SEO.